Do you count your cat among the attention seekers? They are easy to recognize. Attention seekers have developed repetitive behaviors for demanding attention from their favorite people. They go to ridiculous lengths to be petted, played with, and cuddled. Sometimes there is a treat component. Some of these tactics are annoying, others endearing. 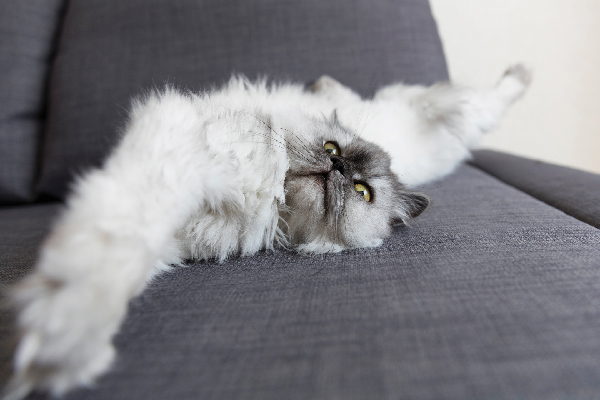 You recognize these behaviors — pawing, in-your-face meowing, knocking stuff off tables, counter surfing, sitting on keyboards, interrupting Yoga sessions, and many other conspicuous behaviors. Attention seekers repeat these behaviors because they get desired results — attention. Cats quickly figure out that their tactics work; their people reinforce and encourage the behaviors by interacting with them in a number of ways. It doesn’t take much to intentionally and unintentionally reinforce attention seeking behaviors. When their conspicuous activities are ignored, cats eventually get the message and stop doing them. Smart cats test the environment: When one behavior doesn’t get results, they try another. If the behavior is reinforced, the cat will repeat it. The consequences of behavior predict whether it will be repeated. Some of these attention-seeking behaviors are so sweet that they are begging to be encouraged and rewarded. Cat parents just can’t help it. When the behaviors are viewed as endearing and are reinforced, they build and strengthen relationships between cats and their people. I am the first to admit that I reinforce many of my cats’ attention-seeking behaviors. Olivia brings me her favorite toy and drops it at my feet when she wants to sit on my lap. Although she doesn’t need to bribe me for lap time, she does. I always reinforce the sweet behavior by immediately placing her on my lap and petting her. From Olivia’s perspective, presenting me with her favorite toy means unlimited lap time whenever she wants it. She’s right. How can such a cute request be denied? All three of my cats indulge in attention-seeking behaviors. I reinforce the ones I find adorable by playing, petting, talking and giving them treats when they do them. I ignore the annoying ones. Not all attention-seeking behaviors are adorable — some are really irritating and hard to tolerate. They can be loud, bothersome, and sometimes destructive. Others, such as stove surfing, are potentially dangerous. It gets tricky when people don’t realize they are unintentionally reinforcing annoying behaviors. It’s easy to do. 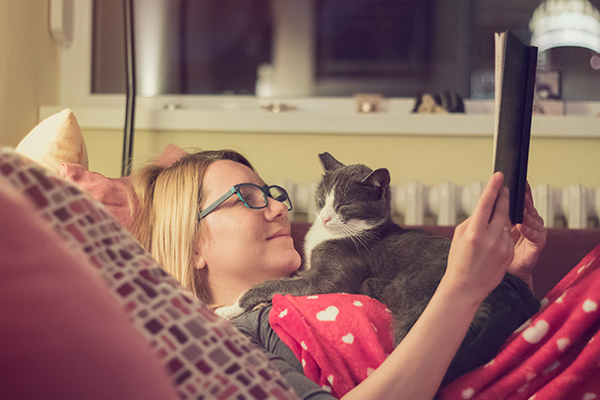 Actions as subtle as making eye contact, talking, or absent mindedly giving affectionate squeezes while moving the kitties can encourage their antics. At the other end of the spectrum, reactions such as yelling and chasing, can backfire and strengthen behaviors instead of stopping them. Subtle or intense, these reactions have something in common. Both involve cat parents responding to the behavior by interacting with the trouble makers. From the kitties’ view point, when they do specific behaviors, their people pay attention to them. Sometimes cats act out because they are sick or don’t feel well. Before assuming there is a behavior problem, rule out any possible medical issues by having a veterinarian thoroughly examine your cat. Before stopping an unwanted behavior, identify the motivations for them. Are you or someone in your household reinforcing the activities? It doesn’t take much to reinforce attention seekers. Look for a pattern. Often cats act out at the same times every day or choose specific locations. Some time their activities for early in the morning while everyone sleeps or when their favorite person comes home. Typical locations for making their needs known include: kitchen counters, desks, stairs, and bathrooms. Because attention seeking can have a foodie component, make a note of when your cats eat. After you identify the triggers, find other activities that take the place of the irritating behaviors. Choose activities that address the triggers. 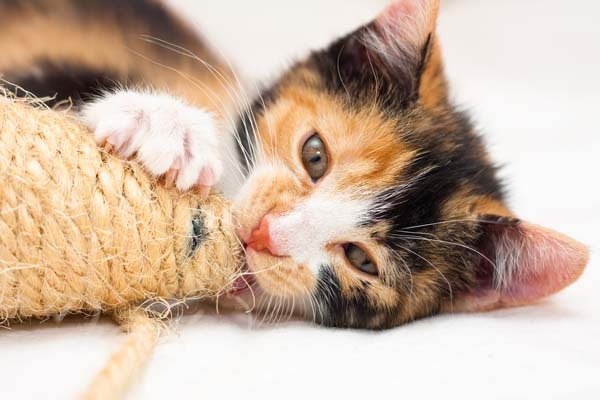 Activities such as play, treasure hunts, and clicker training give kitties the attention they crave, but in a non-disruptive way. Be very careful not to accidentally reinforce unwanted behaviors. 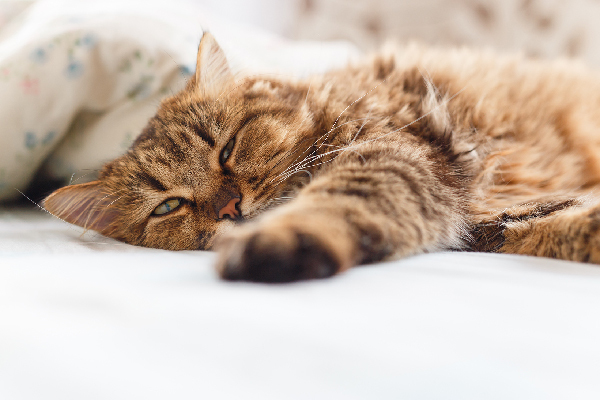 Depending on the behavior, your cat may need a time-out. Time-outs are simple. Leave the area while she is acting out. Do not interact with her in any way. She will soon figure out that when she does specific behaviors her favorite person disappears. Other behaviors need to be handled differently. When attention seekers need to be removed from an area, do it quickly with as little interaction as possible. Always reward and encourage good behaviors as they occur. Timing is everything. It isn’t very effective to reinforce a behavior after the fact because the cat’s attention is elsewhere. Every cat is different. 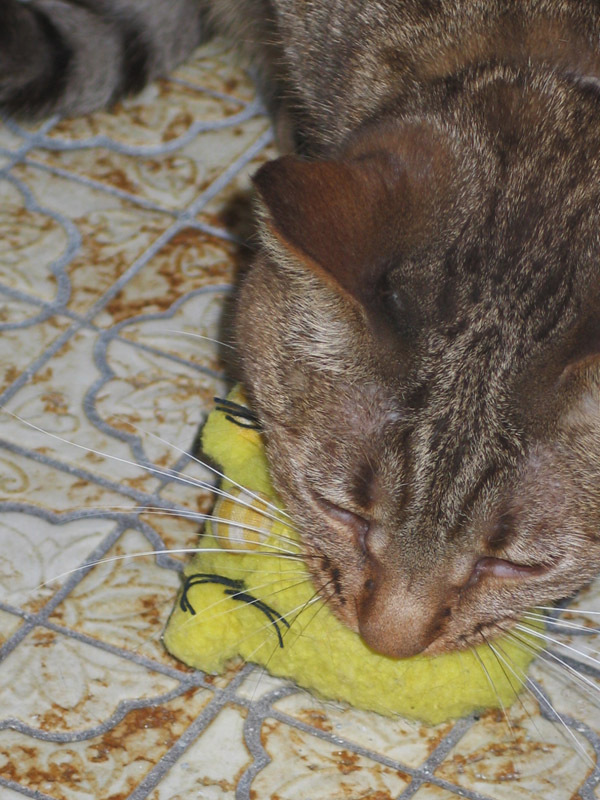 Treats, affection, grooming and encouraging words are examples of reinforcers that work for individual felines. Clicker training is an effective behavior change tool, communicating to the cat when she’s doing the right behavior, followed by a treat. It takes time to change behavior, and most attention-seeking activities have been going on for a long time. Encourage and reward the good behaviors and do not reinforce the irritating ones. Reward progress and do not expect perfection. Got a cat behavior question for Marilyn? Ask our behaviorist in the comments below and you might be featured in an upcoming column. If you suspect a behavioral problem, always rule out any possible medical issues that may be causing the behavior by first having your cat examined by a veterinarian. 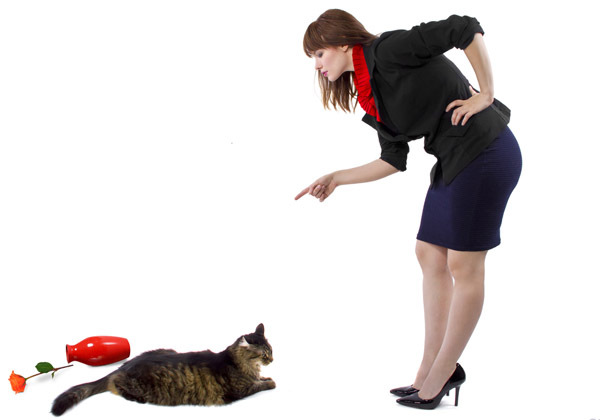 Marilyn can also help you resolve cat behavior challenges through a consultation. She is also an award winning author. Her book Naughty No More! 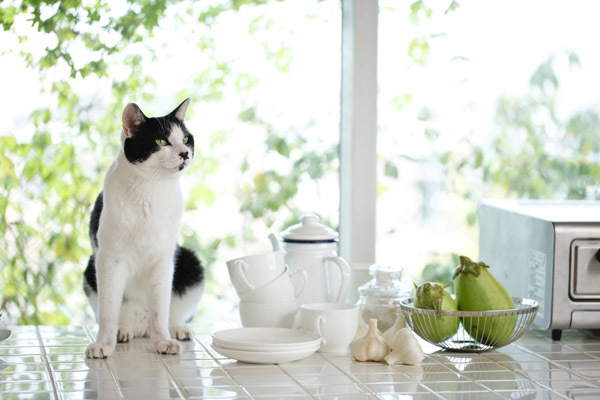 focuses on solving cat behavior problems through clicker training and other force-free methods. Marilyn is big on educationÔÇöshe feels it is important for cat parents to know the reasons behind their cat’s behaviors. She is a frequent guest on television and radio, answering cat behavior questions and helping people understand their cats. Are Laser Pointers Actually Good Cat Toys?